Being fit and healthy in a generation where almost everything is instant seems to have become more and more difficult. Just look at the rate of obesity and medical conditions associated to unhealthy eating and lack of physical activities. Affected age groups are even becoming younger and younger. Instant foods, instant travel to any destination, and anything else that is instant made our lives easier, but the impact on our health came almost unnoticed. There are a lot of activities that can be done to promote a healthier lifestyle. Losing weight to be healthier and fitter is one of the aimed results of some of these activities. Running or jogging, for example, is highly practiced for weight loss. But it isn’t for everyone. Some may think that it’s the simplest form of exercise everyone can participate on for the purpose of weight loss, but some medical professionals may actually discourage running until a more favorable weight is achieved. There are lots of other options available for both low-impact and high-impact exercises. Though some high-impact exercises may burn more calories, it can be unsafe depending on the level of fitness. Cycling is good start to hit those weight loss goals. From a beginner to a more advanced level, everyone can surely benefit from a cycling workout. 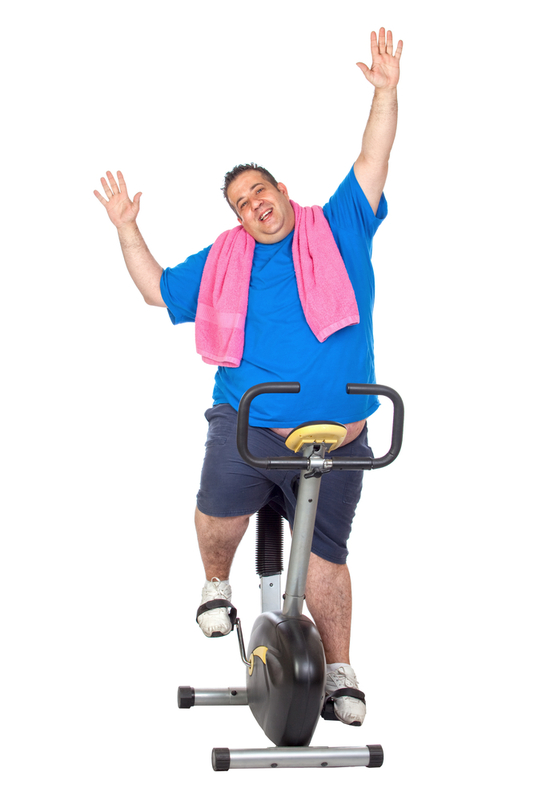 Cycling can definitely be a fun and challenging way to take that extra weight away. Cycling increases the heart rate and body temperature. It also involves different muscle groups that increase its fat-burning effect. The amount of calories burned during cycling sessions depends on the person’s weight and workout intensity. The higher the intensity or the longer a sustained effort is made, the more calories are burned. Make sure you always carry a bike pump for emergency. Cycling targets both cardiovascular and muscle fitness. Both strength and endurance are increased during cycling which contributes to overall physical fitness. Cycling is a great low-impact activity that is a good alternative to running. As a low-impact exercise, it does not put too much strain on the bones and joints during exercise. It’s relatively safer compared to high-impact exercises that may not be advisable for beginners or to those with particular medical conditions. Not being able to support your own weight (which is more challenging the heavier and less fit you are) during exercises can increase the risk for injury especially during high-impact exercises. Considering low-impact alternatives is a good start for people wanting to lose weight. You can cycle on a moderate intensity while traveling to work or go to a gym for a high intensity workout on an indoor trainer. It offers the flexibility of being done both on indoor and outdoor settings which means less excuses not to have a workout. You can also choose different terrains every time to get a bit of a challenge. Climbing hills will require more power and effort which means more calories can be burned. Taking different routes while heading home is also good for both physical and mental fitness. Group rides are fun! Cycling with family and friends while visiting and enjoying new sceneries can be a great “Rest & Recreation” holiday activity. 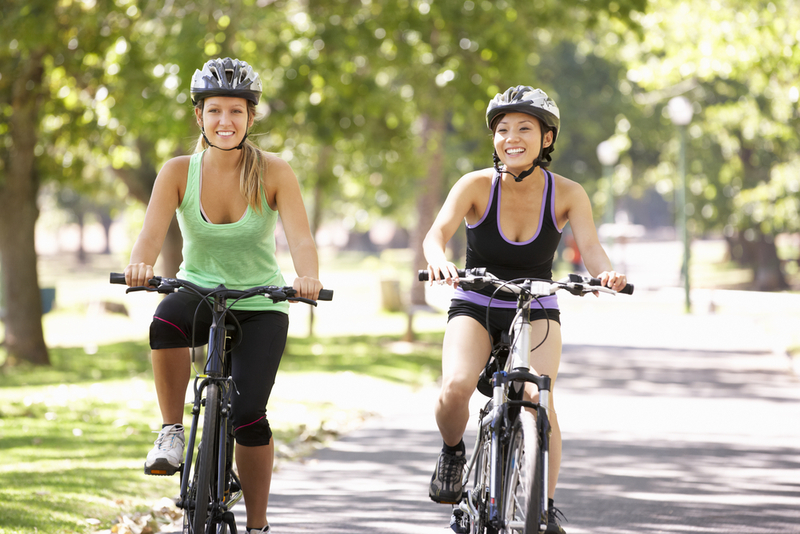 Riding with other bikers can also motivate you to take that bike and do your workout, plus the extra push you may get to pedal harder and faster than you would alone. Aside from that, I can name a lot of local and international biking clubs and groups that are currently active. The advantage of being in these groups is the chance to attend biking events and socialize with people that may be more knowledgeable with the technical aspects of biking. Getting some pointers to maximize your fitness gains isn’t bad at all. Skipping breakfast or meals to lose weight may help at first but it doesn’t work in the long run. Remember that eating a healthy breakfast kick-starts your metabolism and eventually helps to program your body to burn those fats. Having a proper meal also fuels your activities, providing more energy for a longer or higher intensity workout. It is common to skip eating while biking, but it is essential especially for long trips not only to sustain longer rides but also to prevent overeating afterwards. Some bikers take energy bars or gels during cycling to sustain their energy expenditure. This may not be recommended for weight loss due to the fact that these foods are packed with more calories. Take a banana instead to keep you going and save you from burning extra calories from other processed sources. How? High-intensity workouts. High intensity workout depletes the body’s oxygen store faster; as a result the body tries to compensate to restore normal oxygen levels even after the workout. Increasing the oxygen consumption both during and after the workout increases the amount of calories burned. What if you can’t sustain a high-intensity workout? Post-exercise oxygen consumption doesn’t mean you have to run out of breath to an uncontrolled state. Do few hard efforts in between your usual pace or at the end of your workout to benefit from that post-workout burn. It’s common to see people putting on more clothes than necessary. I even saw few of them hitting the roads with those sauna suits to promote sweating and to keep the body warm. While it may help during a cold weather, excessive sweating during moderate to hot seasons can also cause dehydration. Having a healthy diet paired with a good workout is the key to weight loss. You can’t simply out-exercise a bad diet. Consuming calories from healthy sources while on a calorie deficit helps the body to lose appropriate body weight.